What should you do if you see a turtle crossing the road? 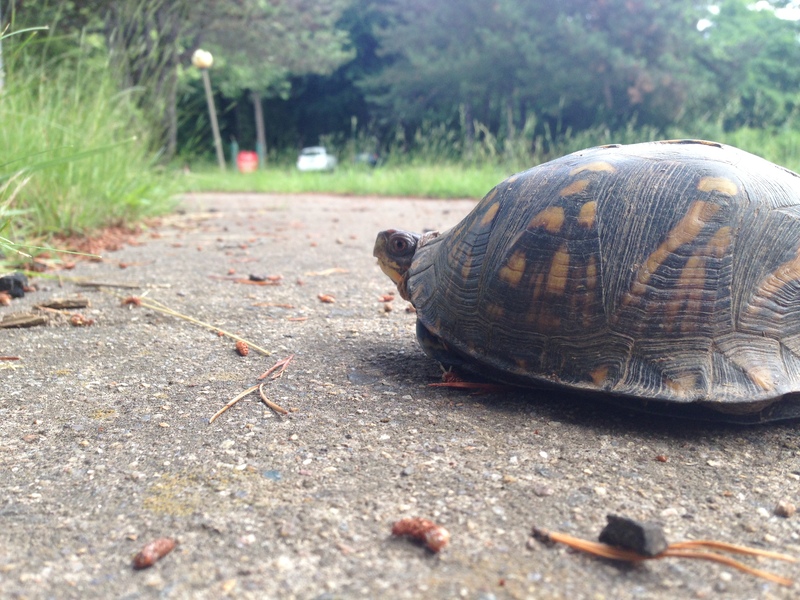 This time of year many wildlife, like turtles, are on the move. Whether it's for new territory, breeding or a simple quest for food, it's possible that they will wander near or onto roads. Please keep a lookout for wildlife while you're driving. These tips should help us all be aware and keep turtles safe this season. 1. Be very careful when moving the animal (it could be injured or it could bite you depending on what species). If possible, sometimes it is best to just stand guard as the animal crosses the road on its own. 2. Always keep your own safety in mind – watch out for oncoming vehicles, signal properly when pulling over and recognize your surroundings first before working to help save an animal. 3. If the animal does need to be moved, put it down on the other side of the road in the same direction it was going. 4. Do NOT take it with you - please only focus on helping it get safely to the other side. 5. Get involved with roadside restoration and transportation projects: We're working to make our roads and roadsides work for transportation and the environment. 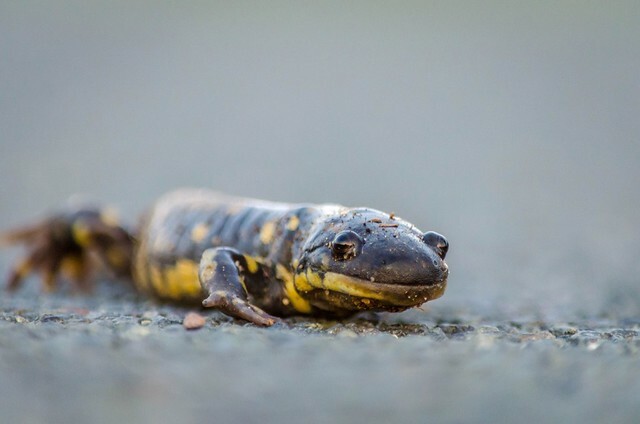 Some of the projects include restoring a place for vernal pools and or even planting milkweed along highways. 6. Learn more about wildlife laws in your state. Contact your State and Territorial Fish and Wildlife Office to verify what is legal for your state and ways you can get involved. You also are always welcome to contact your closest National Wildlife Refuge to learn more about what species to look out for. Slowing down is one of the most effective ways to share the road with wildlife. I have to admit, I'm so bad about stopping to pick up every tortoise or turtle I find in the middle of the road. Most of the time I take them to the wilderness area near my home to turn them loose. I've noticed there are fewer and fewer of them crossing each year. I encourage all to do your part to share the roads with wildlife. Is the person who writes this page on the USF&WL payroll? Hi, both turtle and tortoise are used, but box turtle is far more common. Motownvoice--common names for animals are often imprecise, which is why the MUCH more commonly used box "turtle" is perfectly acceptable. Perhaps you would prefer the author use the scientific name used for classification. Either way, hardly a fireable offense. Your hostility is unwarranted, and a reason why online discourse has become so toxic. Many thanks to the author and the many dedicated USFWS public serblvants who help the nation sustain its marvelous natural legacy.